The 34th Annual Hood to Coast Relay was this weekend with over 12,000 runners starting at Timberline Lodge on Mt Hood and then finishing in Seaside Oregon. 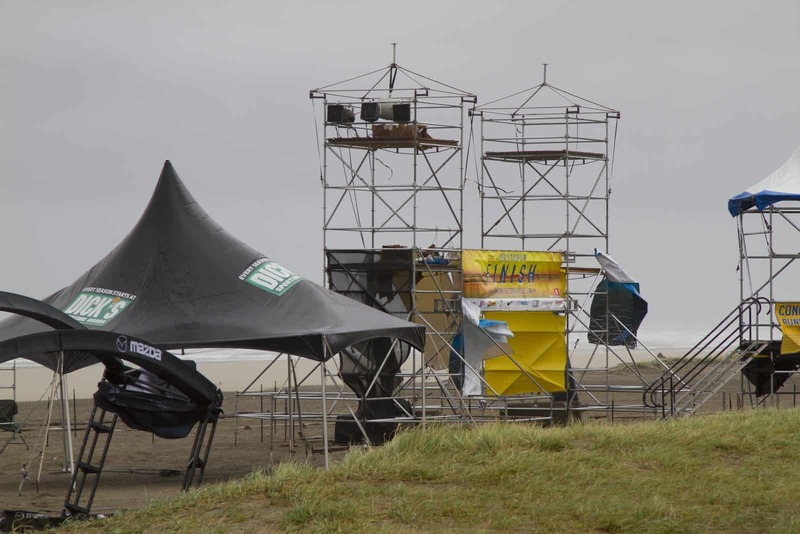 The race started out well but a freak late August wind storm hit the Oregon Coast this morning destroying the finish line, tents, concert stage, and everything else on the beach. 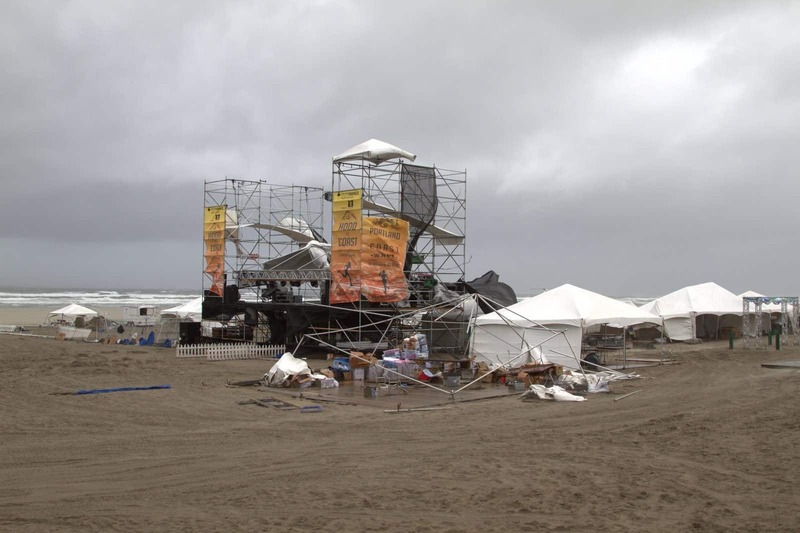 Event organizers cancelled all beach activities due to the high winds and flying objects. The finish line was moved in to Broadway because the Trend West building blocked the strong south winds. The sideways rain and 70+ MPH gusts on the beaches didn’t stop participants though and the race went on as scheduled. Unfortunately, the concert, beer garden, and all other post race activities on the beach are canceled. 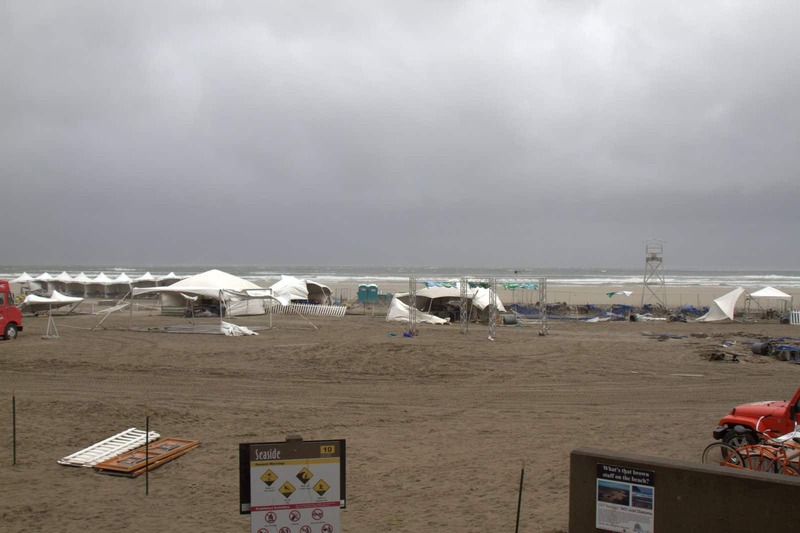 Check out these pictures of the damage done by the Hood to Coast wind storm on the beach in Seaside Oregon. 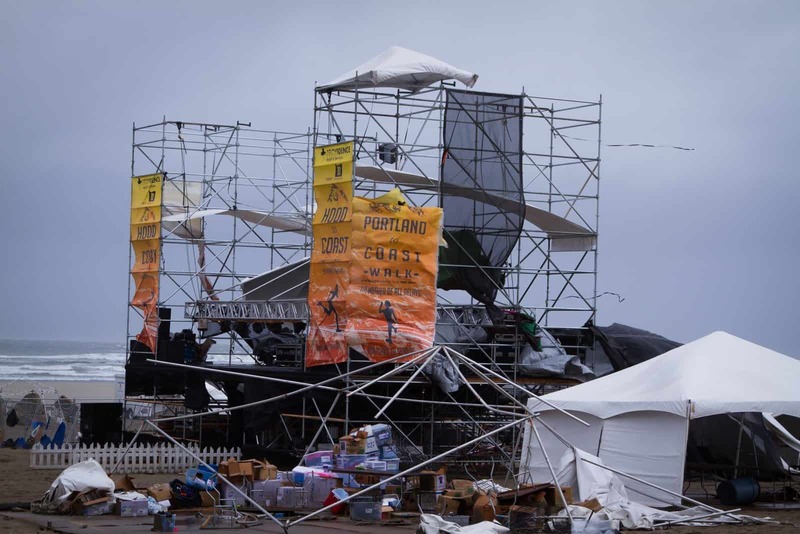 The 2015 Hood to Coast Relay happened to fall during a late August wind storm with 70 MPH wind gusts. This would have been a significant storm for the winter, but the fact it fell in the month of August very strange. Overall though it seemed like race participants still enjoyed themselves. Morrisey Productions took these photographs on the beach in front of the turnaround in Seaside Oregon. Don’t forget to follow us on social media or contact us for your free no-obligation digital media quote.